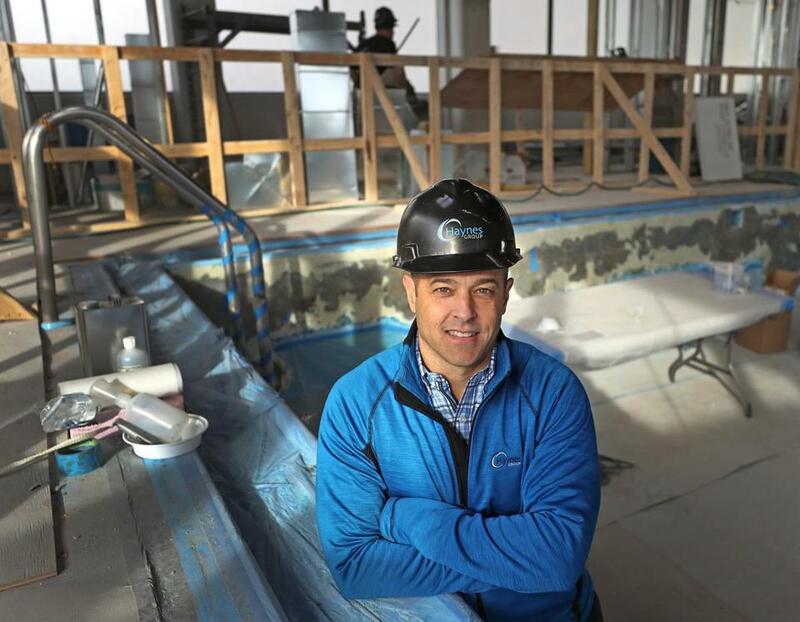 “From the industry I come from, construction, you are going to see a lot more spending, a more willingness to invest,” said Mike Haynes, co-owner of Haynes Construction in West Bridgewater. To understand the record-high stock market and soaring business confidence, spend some time with Mike Haynes. He’s the co-owner of the Haynes Group, a small construction firm in West Bridgewater with 48 employees that renovates buildings all over Boston. He’s downright giddy about Donald Trump and a Republican-controlled Congress. Here’s what Haynes expects: the end of Washington gridlock. Lower taxes. Reduced health care costs. All of which means small-business owners like himself can grow and hire. Haynes has already done the math. If his taxes go down by 3 to 6 percent, he can add a few more workers. There’s a narrative out there that Trump won on the backs of the white working poor in rural America. People without a college education, unemployed coal miners, and the ones who had nothing to lose put the bombastic Republican businessman in office. But plenty of middle-class and wealthy college grads also voted for Trump, many willing to compartmentalize his loathsome statements about women, immigrants, and people of color because they liked his message about jobs and trade. They included Massachusetts residents like Haynes — small-business owners who got tired of slow growth and were willing to roll the dice with a real estate mogul turned reality TV star. Strange times we live in. Half the country is in protest mode, worried how a Trump presidency could hurt all the groups he denigrated on the campaign trail; the other half thinks America is about to be great again. On Tuesday, the National Federation of Independent Business reported that its index measuring small-business optimism soared after Election Day to a level not seen since 2007. The group indicated that more of its members expect to hire, increase sales, and improve business conditions. That dovetails with a report last week from Associated Industries of Massachusetts, which indicated employer confidence has grown since Trump’s election — the biggest jump in 17 months — buoyed by a rising stock market and low unemployment rate in Massachusetts. The trade group has some 4,000 members, with the average company employing about 50 workers. Trump has been playing to this audience. While it might have sounded strange to many of us that the president-elect would make reducing regulation a priority in his first 100 days, small-business owners rejoiced. Trump pledged to formulate a rule that for every new regulation created his administration would eliminate two existing ones. Companies large and small tend to bristle at what they see is meddling by the government. For small businesses, compliance costs can be onerous or take a big bite out of profits, whether it’s the pile of paperwork needed to get a government-backed business loan or meeting Obamacare requirements. We have regulations for a reason. To protect consumers — or companies themselves — from getting a raw deal. But for some small-business owners, our government has gone too far. Stevens thinks Trump’s policies can stimulate the economy, and in turn, consumers will feel good about spending again. If they open up their wallets, Stevens can expand and hire. “This is not rocket science,” he said. Stevens isn’t even fazed by Trump’s talk about slapping tariffs on products from China, where his company makes most of its blankets and throws. Stevens thinks it was all a “bit of bravado” on the part of candidate Trump, and that his administration will do the right thing on trade. “Free trade is the way to go, but it has to be fair and honest from one country to the next,” said Stevens. The only reason Stevens and other companies manufacture in China is to keep consumer prices low. “There isn’t anyone who wants to do it overseas if we didn’t have to,” he said. But this being Massachusetts, where Trump captured just a third of the votes, I had to ask all these business types how they felt about the social unrest a Trump victory has unleashed. How do you explain endorsing someone who has engaged in locker room talk that demeans women? How do you address the white supremacists who want to take back the country under Trump? Their bottom line: Give him a chance to prove himself. “If he doesn’t do well or makes mistakes, the beautiful thing about this country is four years from now you don’t reelect him,” said Stevens. He’s right, but a lot of damage can be done to our social fabric in four years. But Trump is our president now. Let’s hope that making America great applies not just to the economy, but to the public discourse Trump can lead about the important issues that divide us.